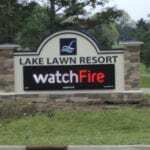 When it comes to custom signage for resorts, Lake Lawn’s management team hit a home run, creating great visibility for their property. 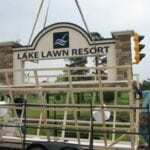 The sign is a combination of electronic message center and monument sign. 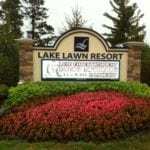 Founded in 1878, Lake Lawn Resort in Delavan, WI has over 240 acres of property, more than 200 guest rooms and an airfield. 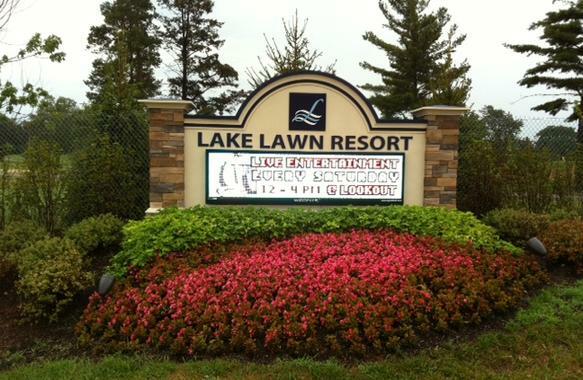 The resort owners revitalized the property with upgrades inside and out, including a major upgrade in custom signage. 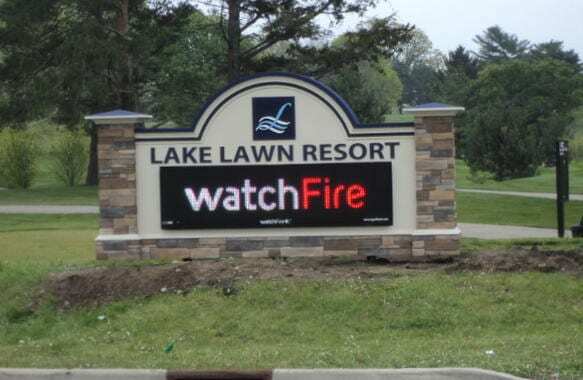 To capitalize on the heavily traveled county highway that provides the northern border of the property, we installed a great-looking electronic sign. This sign and Electronic Messaging Center (EMC), replaces a wooden board sign mounted on a fence and is located at an intersection with a lot of car traffic. We made bolt-on brackets to affix the EMC to the steel poles that provided the sign’s structure. The EMC unit plays an important role in announcing upcoming holidays and events being held at the resort and promoting their special offers. 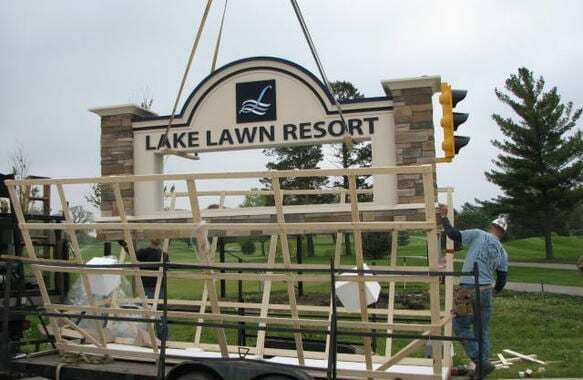 The foam / polyurethane construction was chosen because of its ability to streamline the fabrication and installation processes. The faux brick base is river rock to match the stone in the bar inside the resort.